We believe in joint work and the union of efforts to accelerate the positive changes that the world needs. The Tropical Forest Alliance 2020 is a global public-private partnership in which partners take voluntary actions, individually and in combination, to reduce the tropical deforestation associated with the sourcing of commodities such as palm oil, soy, beef, and paper and pulp. TFA 2020 is the global platform for companies, governments and civil society organizations to exchange information and collaborate on actions to reduce deforestation in the tropics. By being a member of TFA 2020, SAN can learn from other organizations and contribute to the many ongoing efforts to prevent furthers losses of tropical forests. 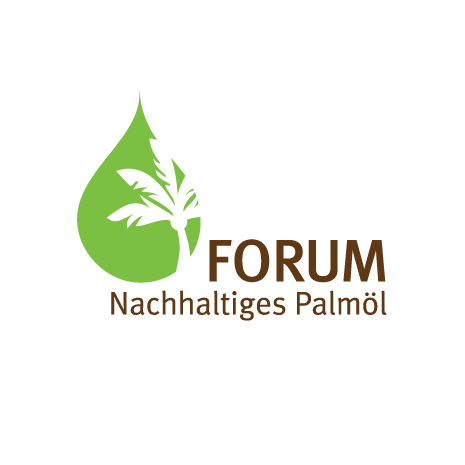 The Forum Nachhaltiges Palmöl (FONAP -in English: the German Forum on Sustainable Palm Oil) has about 50 different members from Germany, Austria and Switzerland, representing Government, NGOs, businesses and retailers as well as consultancies/certification organizations. A ban on plantations on peatlands and other carbon-rich land. A ban on the use of highly hazardous pesticides (Rotterdam and Stockholm Conventions, WHO class 1a and 1b pesticides and Paraquat). The application of strict reduction targets for greenhouse gases. A guarantee that, when certified palm oil mills purchase non-certified raw goods (Fresh Fruit Bunches), these are obtained exclusively from legal cultivation. There is scarcely another raw material which is the subject of such controversial discussion as palm oil, yet there are so many different contexts in which palm oil is produced and therefore a single conclusion on its sustainability is not justified. Instead of boycotts SAN considers the efforts must focus on supporting palm oil production in an ecologically responsible and socially justifiable manner. With our many years of experience in certification work, the local anchoring of our member organisations and the technical and specialist expertise of the SAN team, we wish to contribute to the dialogue and action on FONAP aims in cooperation with various stakeholder groups. We promote a shared understanding of interests and intensifying the knowledge transfer between various producing regions. ISEAL Alliance represents the global movement of sustainability standards and works closely with governments, businesses and NGOs to drive improvements and transform places and industries. SAN has been an ISEAL member for years, contributing to strengthen the standard’s community with innovative and credible approaches. Build support for credible standards. Sustainability standards are useful tools to transform agriculture. We have more than 20 years of experience in certification and developing standard systems so we have a good amount of knowledge and lessons to share. Through the ISEAL Innovation Fund SAN is also able to build other solutions and drive positive changes on the ground. The Juice CSR Platform is a vision-driven Platform offering a space for collaboration and continuous improvement where all sector and supply chain stakeholders are included. The Platform enables stakeholders to work together to find solutions to common CSR-related opportunities, challenges and concerns. A common understanding and agreement on CSR in the fruit juice industry, including areas to collaborate and ways to track progress. Enhanced performance on addressing social, environmental and economic concerns creating shared value throughout the supply chain. Greater visibility of CSR and sustainability eﬀorts in the fruit juice sector. SAN and its members have worked on sustainability challenges in the tropical fruit sector for two decades and have significant experience to bring to the exchange of knowledge and information in the juice sector. By engaging in this platform, we hope to share the field-focused experience of SAN members to support the development of collaborative solutions.